As I have mentioned before in similar posts to this one - I think it is so important to give recognition to content creators you believe are doing a fantastic job. The blogosphere can be a place riddled with negativity, competition and drama that it is a good move to take a step back, remove yourself from that bad energy and spread a little kindness instead. This month I've made some new discoveries and rekindled some old interests. And not just blog or YouTube channel wise. So for this month at least, I'm sharing my current favourites from a range of different platforms. Patricia's is a channel I used to watch quite a lot. However when Eric came along it was one of my subscriptions that got a bit forgotten about. Well now I am obsessed. Hers are the videos I will spend my time binge-watching whilst the baby is asleep (and when I should be cleaning). Her "I spent..." videos are currently my guilty pleasure. With an infectious personality, charisma and well-planned content, she is definitely worth a watch! Discovering Caitlin's channel was a sheer coincidence, but a very happy one. If you know me you will know that I have an active interest in mystery and unsolved crime videos and because of this Caitlin Rose's content just so happened to pop up under those that YouTube recommends. And now every time she posts a video covering one of those topics I have to instantly hit the play button. If you like Bella Fiori or Kendall Rae, then Caitlin's channel is worth investigating too. A fellow blogger from Liverpool and with a style that for me is just goals, Pingkan's blog and Instagram feed are both high on the list of places I constantly check for new content. A lot of fashion bloggers I find really difficult to relate to, often admiring from afar because my budget goes nowhere near the pieces they wear, but Pingkan posts photos and blog posts that cover affordable, accessible fashion and is so down-to-earth in the process. It is my dream to nab her as my personal stylist for a day to help rescue my wardrobe from the washed out dresses and t shirts set aside for the daily spit up situations. Every single time Alice posts a new photo I find myself thinking "gah I wish I could wear that". Her style is just effortlessly chic and everything she wears just looks phenomenal. If Instagram has been around when Audrey Hepburn had been in her prime, this is what her feed would have looked like. Alice really does remind me of a modern day Audrey, with perfect winged liner and an easy style that oozes elegance. If you like to follow Instagrammers who post a mix of fashion, beauty and lifestyle shots, she's one I'd recommend you check out. Slowly but surely Eric's nursery is turning into a bit of an art gallery. It first started with a few painting my grandfather had done, leading on to a piece or two I picked up from christmas markets, and now I want to fill his room with all kinds of pretty prints, paintings and illustrations. Deciding to forgo the wall art you can easily find at chain stores, I am always on the lookout for pieces created by small businesses. After stumbling across Peachie Pie Designs and checking out her work, I put in a double order instantly. Her illustrations were unique, sweet, and exactly what I was looking for. For the work that goes in to each print, I think they are really reasonably priced too. 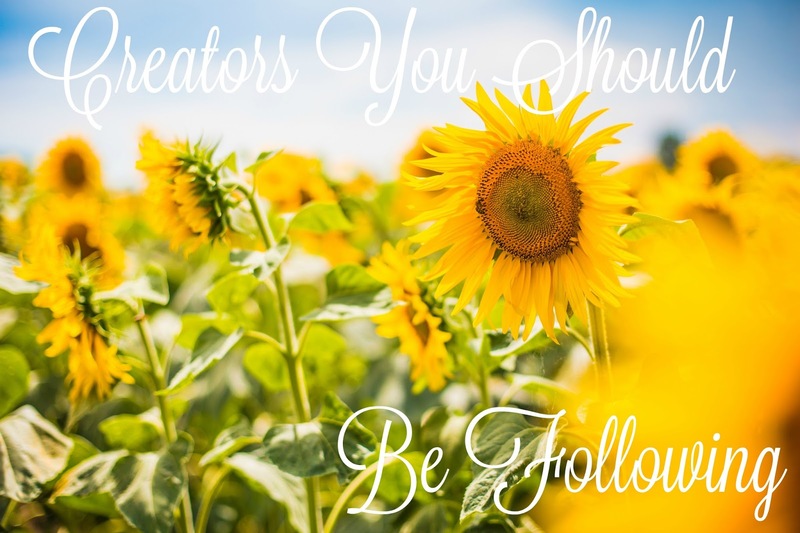 Got a creator you've been loving? Why don't you let them know?